Yesterday’s announcement from DC that they are going to reboot the Watchmen franchise with a series of prequels was met with the predictable outcries from fans. Alan Moore is understandably upset because as far as he is concerned, Watchmen was a self-contained story with a definite beginning and a definite end. What possible minutiae could any writer bring to this world that would expand our enjoyment or understanding of the characters and message Moore created? As has been pointed out, this new project will span 35 individual issues in seven different series (eight, if you count the Crimson Corsair backup feature that will eventually be collected separately), which is almost three times longer than the original Watchmen maxi-series in 1986. Is there really that much more to tell about these characters? I guess the same thing could be asked about any comic book character–how many times can Batman fight the Joker, after all, and remain fresh and interesting? Probably my biggest concern about the scope of Before Watchmen is whether I will have to buy all the issues to understand what’s going on. At today’s cover prices, it will cost almost $150 for the entire collection. Even if I wait for the trade collection(s), I’m sure it will cost a tidy sum. 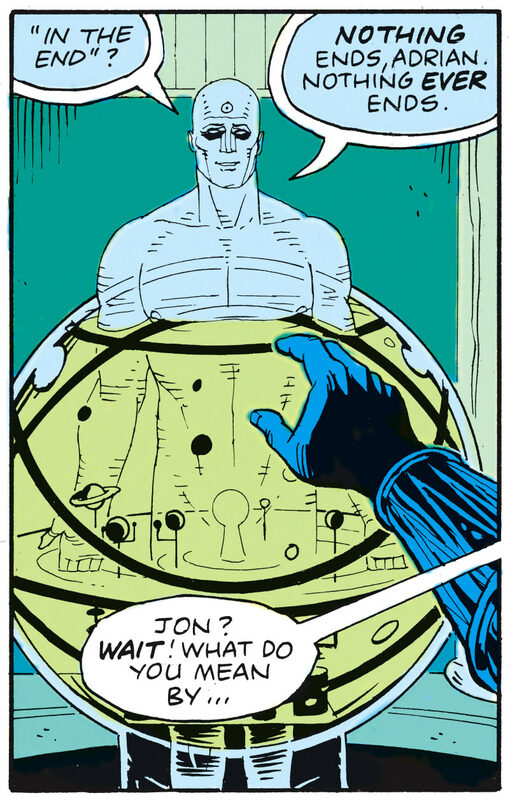 I’m not worried that Before Watchmen will confuse readers. 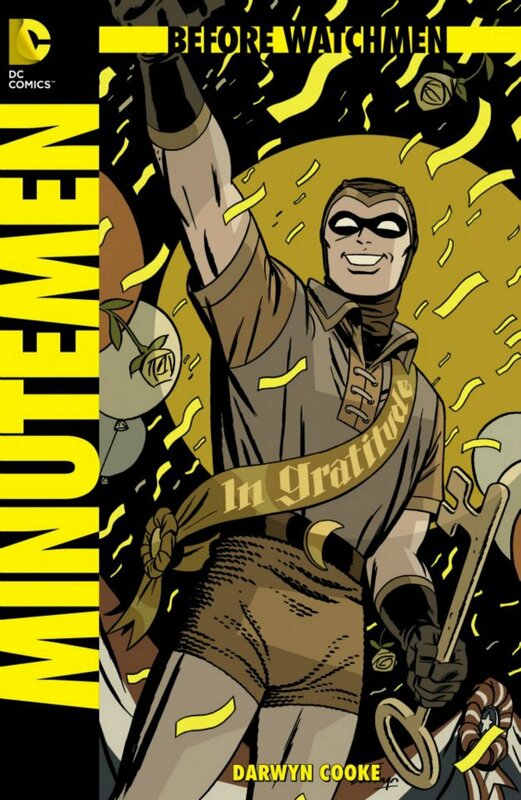 The original Watchmen will always be there and anything else can be cheerfully ignored, if so desired. Original artist Dave Gibbons has given a fairly tepid endorsement of the new project, and has declined to participate. Len Wein, the editor on Watchmen, is eagerly participating, and original colorist John Higgins is also participating. Alan Moore’s reaction is somewhat puzzling. I understand his disdain for other people using what he considers his work, but the fact is he does not own the Watchmen characters. In fact, the Watchmen characters are themselves thinly disguised versions of Charlton characters that DC had recently acquired in the 1980s. Moore had begun work on Watchmen with those characters, and only when DC found out how he was going to use some of them did they balk and make him revamp them. DC simply wanted the option to use the Charlton characters in other stories. Moreover, Moore has made quite a career out of mangling established public domain characters (and thinly disguised copyrighted characters) in The League of Extraordinary Gentlemen and Lost Girls. Oh, I’m sure J.M. Barrie, L. Frank Baum, and Lewis Carroll would just love the way their characters are treated in Lost Girls! One of the gripes Moore and others have made is that these are 25-year-old characters and well, couldn’t top-tier talent be used to create new characters for our times? Of course, Superman and Batman are 75 years old and that doesn’t stop anyone from updating them for today’s audiences. Part of the appeal of iconic characters is that different creators can use them in a variety of ways and yet still be recognizable and relevant. In fact, Alan Moore has done this himself: taking Len Wein and Berni Wrightson’s Swamp Thing to a whole new level of significance. I think the most powerful argument in favor of Before Watchmen was made by writer J. Michael Straczynski. You can read his interview about his plans for Dr. Manhattan and Nite Owl here. In the comic book world, no character ever stays dead and no story ever ends. I’ll take a wait and see approach to the final product. 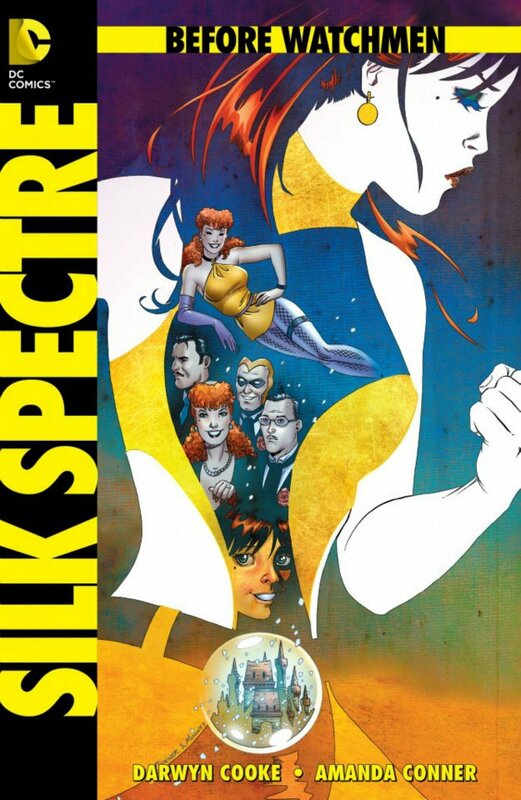 But given the A-List talent associated with Before Watchmen, I expect we will see some truly worthwhile stories, even if they don’t match up to the undisputed greatness of Watchmen.